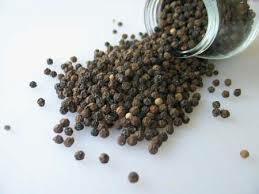 Kochi: On Wednesday, the pepper futures market continued its downfall on bearish operations and closed marginally lower. There was no demand as the buyers opted to remain sideline from the declining market. Activities were very much limited and as a result the turnover has fallen sharply by 1,604 tonnes to close at 1,703 tonnes. July net open position fell by 226 tonnes, while that for August and September moved up by 172 tonnes and 45 tonnes respectively. July contract on NCDEX declined by Rs 42 to close at Rs 12,122 a quintal, while that of August and September dropped by Rs 36 and Rs 18 respectively to close at Rs 12,288 and Rs12,411 a quintal. Total open interest declined by 7 tonnes to close 6,550 tonnes.